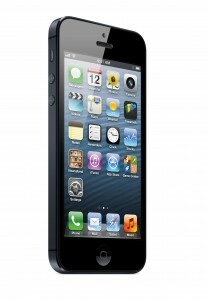 The sale of iPhone 5 in China has shown a significant growth. This has been reported by English language Chinese newspaper “Shanghai Daily”. The sales of this device in the China is on the higher sides despite of the Fact that there were no huge lineups or riots in the streets as there were on iPhone 4S launch event and this was due to the fact the most of the new phones were sold through China Unicom and China Telecom stores. According to this newspaper, in Shanghai alone, more than 20,000 units of iPhone 5 have been sold through brick and mortar retail. Out of theses 20,000, more than 15,000 were sold through carrier outlets. In addition to this there are also more than 300,000 pre-orders that have been seen through Apple’s China Unicom alone and this thing was also reported by the same carrier during the start of the last week. According to some leading analysts of the market, this number of sales of iPhone 5 units will increase in the coming days due to highly anticipated demand of this phone in China. Some leading outlets also report same strong iPhone 5 sales including the 100,000 pre-orders from home appliance retailers Suning which has already sold more than 20,000 handsets through the retails outlet channels in China. The officials of the company are quite hopeful that in Future, this number will also increase due to the more advanced and latest features of this device. According to a research report, the iPhone 4 sole more than 60,000 units across the entire country on launch days however with over 200,000 pre-orders through the China Unicom.